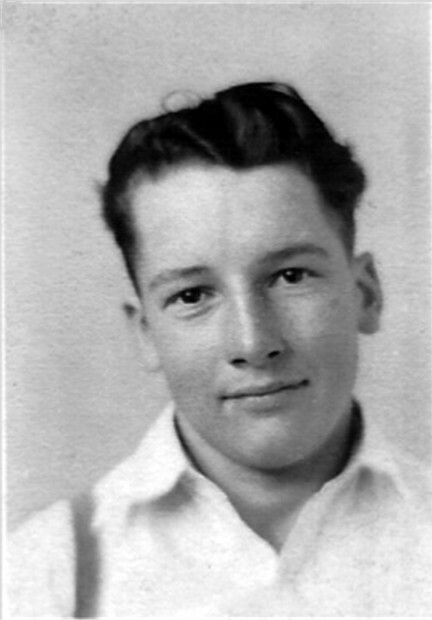 Frank William Abner Conard was born May 27, 1920, at his parents small wood ranch house some miles from Manter Kansas. 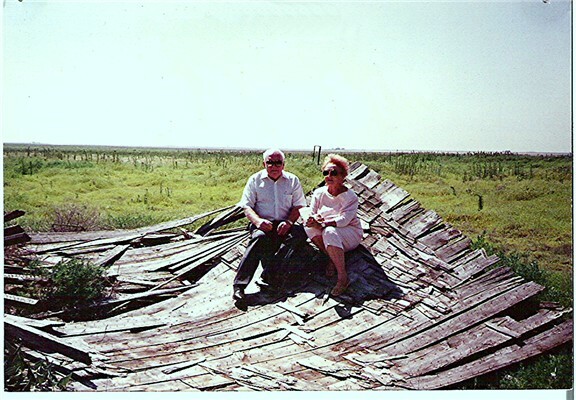 Below is Frank W A Conard with his sister, Hazel Fern Conard Burns, on the roof of that house in 1989. 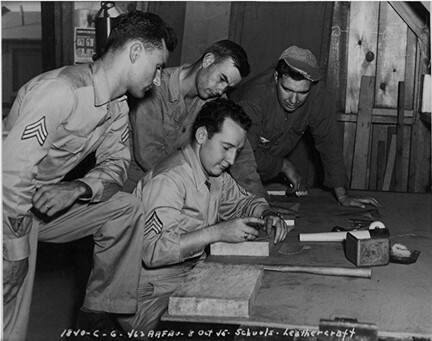 Frank W A Conard (in back) with his cousin, Gerald McKerman, in front. 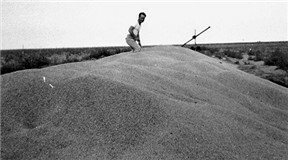 This picture was taken in 1928, probably in far Western Kansas near the Colorado border. 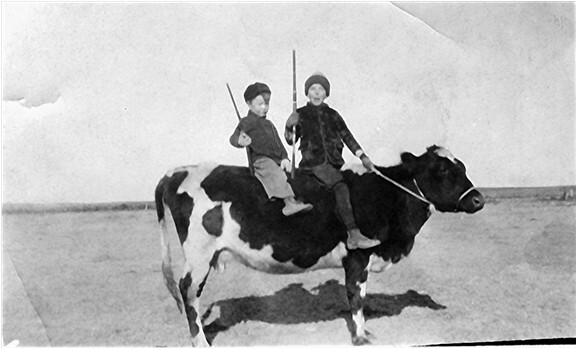 Riding the cow are Erick's father, Frank W A Conard, in back and Frank's cousin, Gerald McKerman, in front. 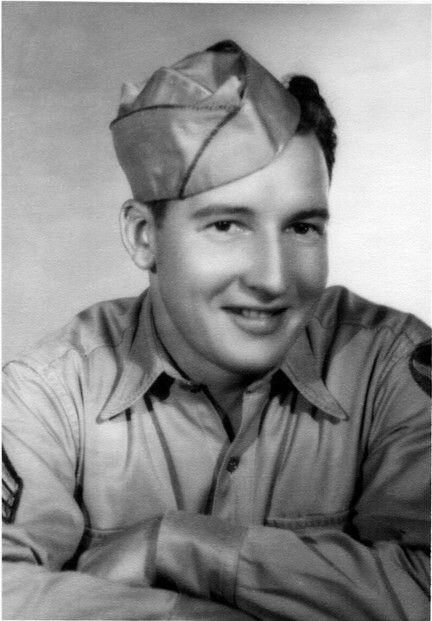 Frank Conard was born May 27, 1920, at his parents home in the country about seven miles from town in Western Kansas not far from the Colorado border. Frank was a descendent of Thones Kunders (down the male line at every generation), who came by ship (one of three) in 1683 from Germany. More recently, Frank was descended from Abner Alexander Conard, of Loudoun Co, Virginia. Abner Alexander moved to Jackson County, Missouri, in 1853, and lived there until 1869, when he and his family settled in Bates County (Missouri?). Three sons of Abner Alexander were the enormously wealthy John Jesse (eldest), Abner Ethelbert (Frank's Grandfather), and Franklin Asbury (who was a popular Uncle called "Uncle F")all came to Kansas in 1885. 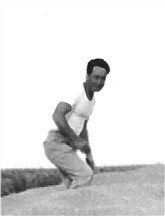 Another brother was Ross Herbert. Abner Ethelbert named a son Jesse Frank (Jesse Frank was Frank Conard's father), evidently after Abner Ethelbert's brothers. 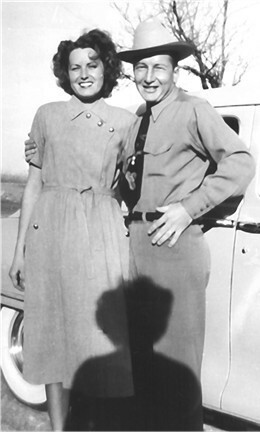 There are currently (in 2005) about 1,000 descendants from Abner Alexander Conard. Frank William Abner Conard had four children... two boys and two girls. 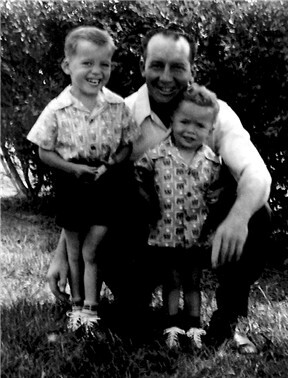 Frank Conard with Erick (right) and his older brother, Frankie (left) in their yard at their Buckeye Ranch in Colorado on April 17, 1951. 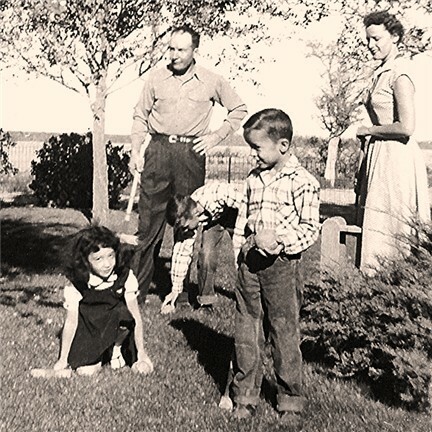 Frank Conard with wife, Billie Faye, their sons, Erick and Frankie, and his niece, Gale Fern Burns [Downing] in his sister's (Fern Conard Burns) back yard at their ranch near Lycan, Colorado. 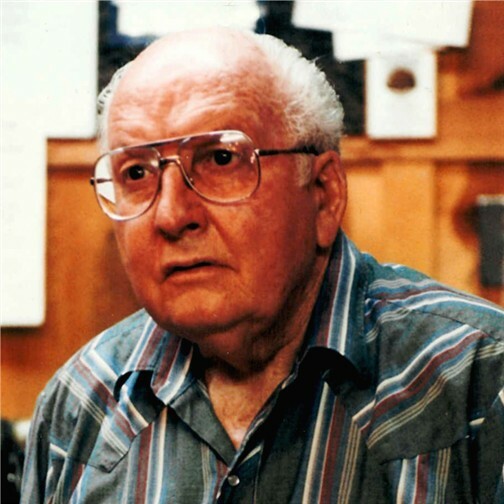 Frank Conard in 1993 at 73 years. 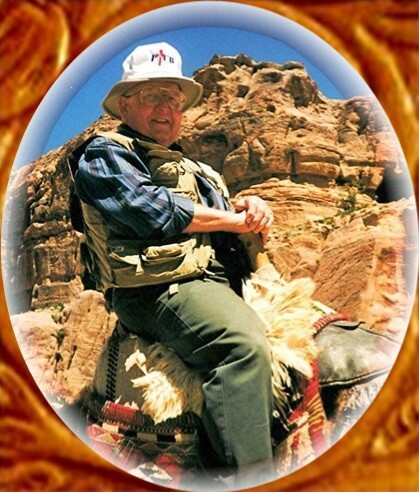 Frank Conard at Petra in Israel April, 1998, riding a camel.